3 Strategies for Handling Accidental 'Taps' on Touch Devices — During mobile e-commerce testing users often accidentally tap items on the page – this article reviews ways to handle those inadvertent “clicks”. Mobile Insights from the Stack Overflow 2017 Developer Survey — Stack Overflow recently published their 2017 survey results. 23% of 51,000 respondents consider themselves mobile devs. Here, Ariel Elkin offers some thoughts on the findings. You can see the full results here. 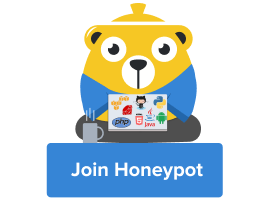 Europe's developer-focused job platform - Get your ideal job in 3 weeks — On Honeypot companies send developers interview requests. Your profile stays live for 3 weeks. Designing for the Appearance of Speed — Performance, conversion, and engagement are inextricably connected. But speed isn’t as simple as the shortest distance from point A to B. Mobile Web: Back to The Future — How the current state of the mobile web, with things like AMP and Instant Articles, resembles the old WAP days of mobile dedicated sites. Progressive Web App Questions — Jeremy answers some interesting questions about PWAs he received from a student researching them. Gen Z: A Look Inside Its Mobile-First Mindset — Google looks at how the next generation of consumers are using mobile devices. Questioning Container Queries — Container queries are always a popular topic when discussing the future of responsive design. But do we actually need them anymore? Does CSS Grid Replace Flexbox? — A question that might be on your mind after the blitz of CSS Grid articles in recent weeks. In short, not exactly, but there are some good examples here. CSS Viewport Units: A Quick Start — An introduction to the use of CSS viewport units for responsive typography and layout elements. Unveiling Ignite 2 — Ignite 2 beta is now available with new features to help developers build React Native apps. Ionic vs React Native — A comparison of Ionic to React Native for building mobile apps. Writing React Native Apps with MobX — How to write a React Native app with MobX and React Navigation Flow styled-components. Building a React Native App in Under 15 Minutes — How to build a React Native app in 15 minutes with Ignite 2.